Vietnamese shares took off on Monday as oil prices increased and news on annual shareholder meetings and 2019 business plans helped cushion investor confidence amidst a lack of supportive news. The benchmark VN-Index on the Ho Chi Minh Stock Exchange gained 0.84 per cent to close at 997.56 points. More than 163.6 million shares were traded on the southern bourse, worth VND3.43 trillion (US$147 million). 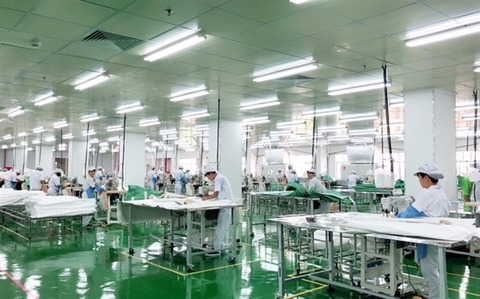 An Phat Plastic and Green Environment JSC (AAA) had told local media pre-tax profit in Q1 was VND270 billion, exceeding its 2018 full-year figure by VND17 billion. On the Ha Noi Stock Exchange, the HNX-Index climbed 0.98 per cent to end at 108.93 points. The northern market was driven by Asia Commercial Bank (ACB) and Sai Gon-Ha Noi Bank (SHB) – which will organise their annual shareholder meetings on April 23. Asia Commercial Bank has released the key documents that will be presented at its coming annual shareholder meeting. The bank plans to pay a 30 per cent dividend for 2019 and targets VND7.28 trillion in profit. Investors were running away from large-cap stocks and directing their cash into mid-cap and small-cap stocks, according to VNDirect Securities analyst Nguyen Trung Du.